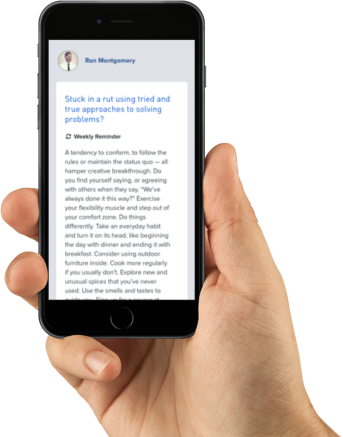 For selected competencies, you provide feedback on skill level and development priorities. 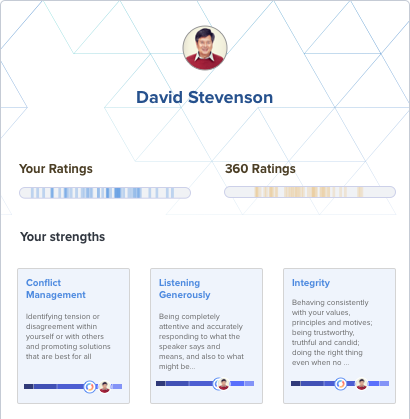 To support more accurate ratings, each competency includes examples of unskilled, skilled, and highly skilled behaviors. 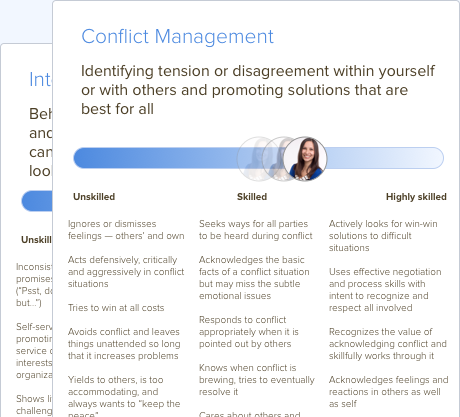 View an emotional competency profile that combines self-ratings, multi-raters, and research-based personality factors to enhance self-awareness and set development priorities. View and select targeted action tips based on development priorities to create a personalized plan. 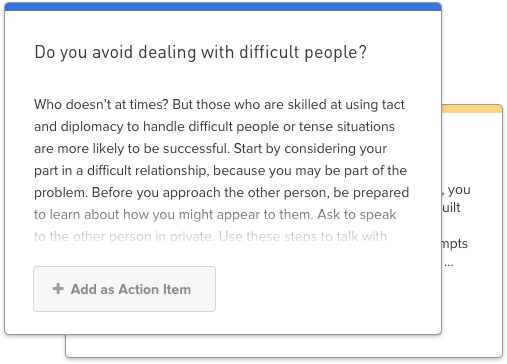 Each action tip provides a developmental perspective and suggests pragmatic actions to become more effective. 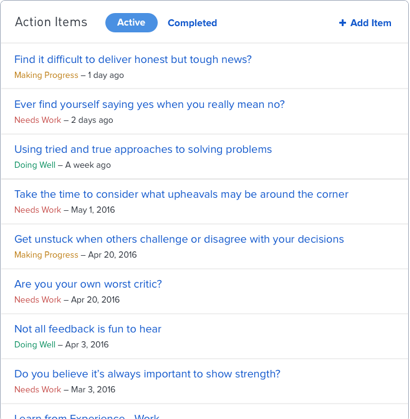 Create and manage an action item list with specific points-to-remember and development tasks. Stay engaged with email insights, personalized for you, to keep you on track and allow for regular status updates.